I love doing taste tests. Chips, cookies, Kit Kats, and even cereal. 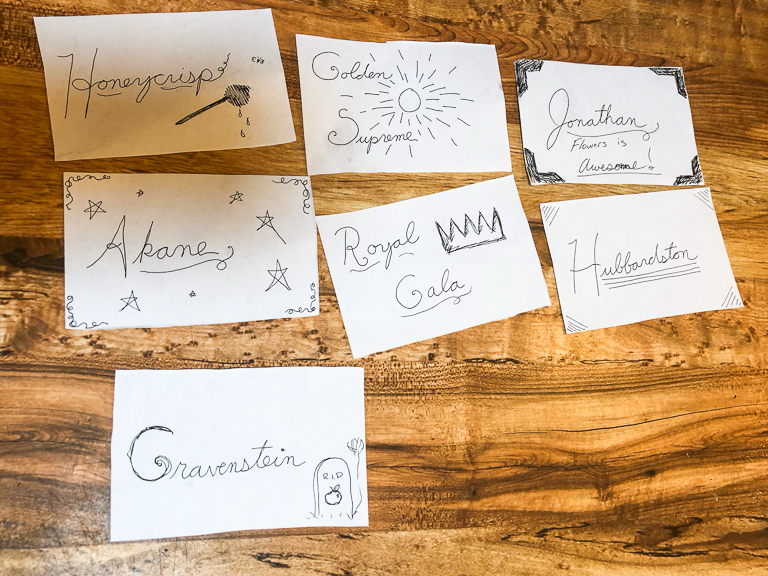 It's fun to get lots of different kinds together and try them all. 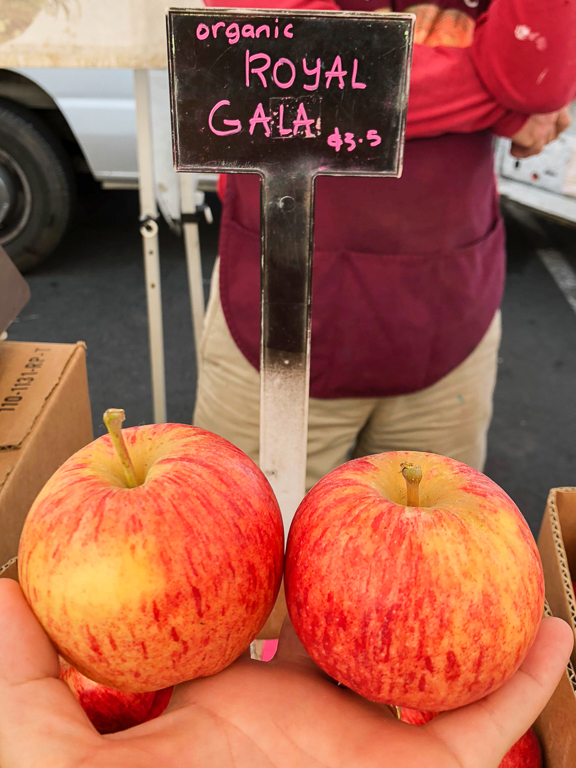 While walking around the Napa Farmers Market, Theresa discovered a booth with a bunch of different apple varieties. Let's do a taste test! 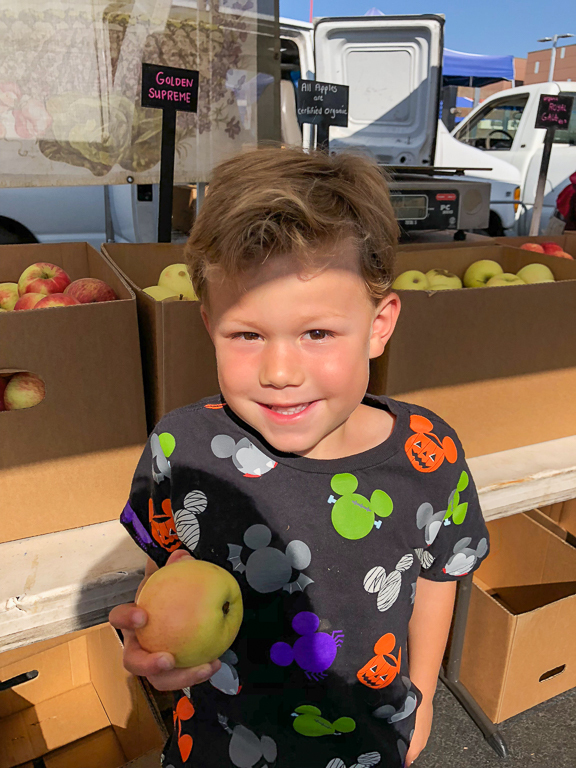 Ian was helpful picking out all the best apples and was excited to help out. 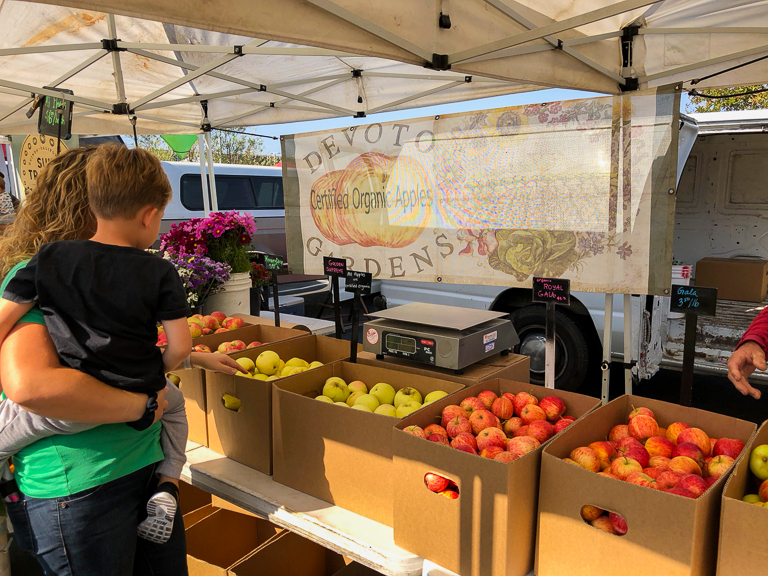 Devoto Gardens and Orchards has a ridiculous amount of apple varieties in their orchards. 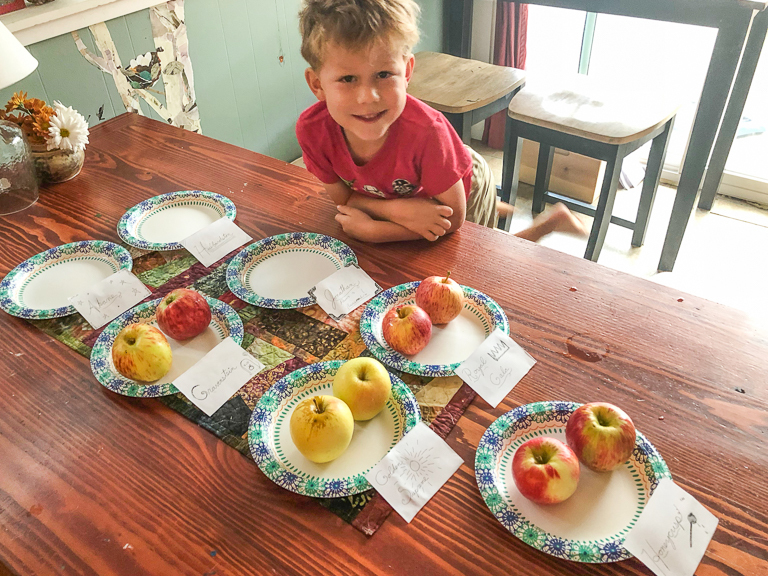 By my count, they have 92 different types of apples growing there. 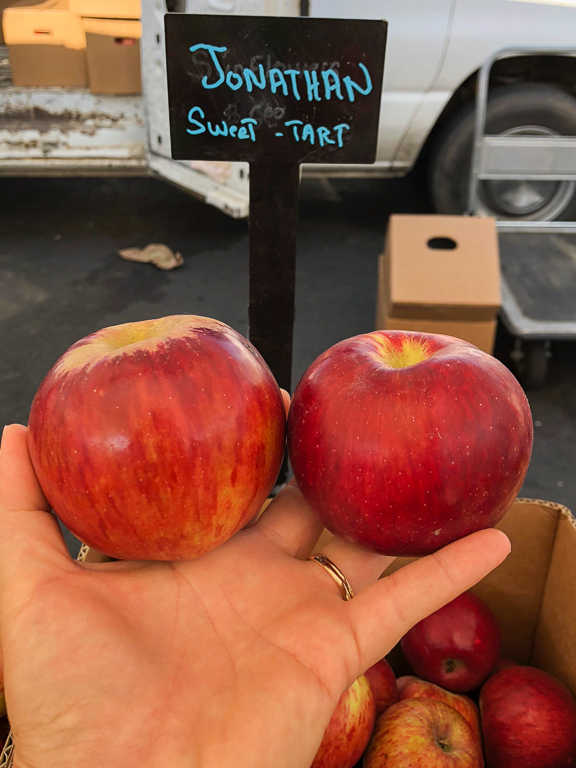 Here at the farmers market, the apples have been lined up nicely from sweet to tart. And Theresa wants to try them all! Misspelled on the sign here, but these are Akane. 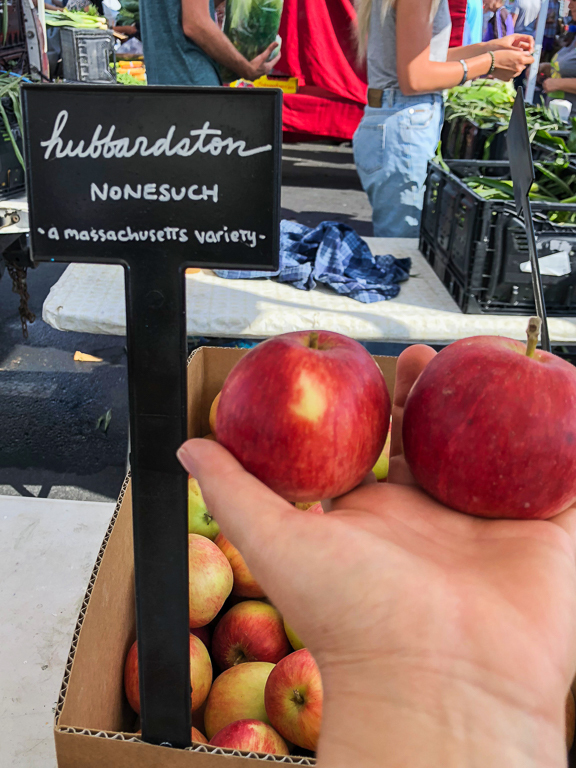 And rounding it out, is the Hubbardston Nonesuch. 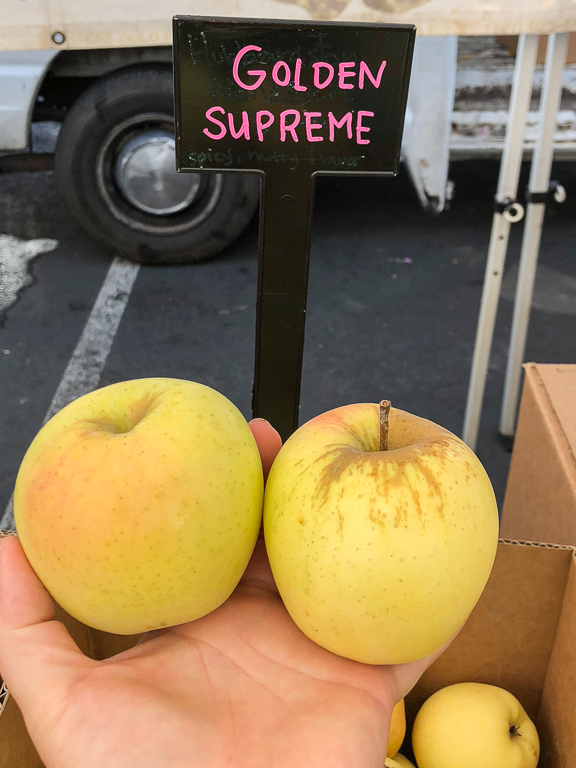 Jess made personalized signs for all our apples today. 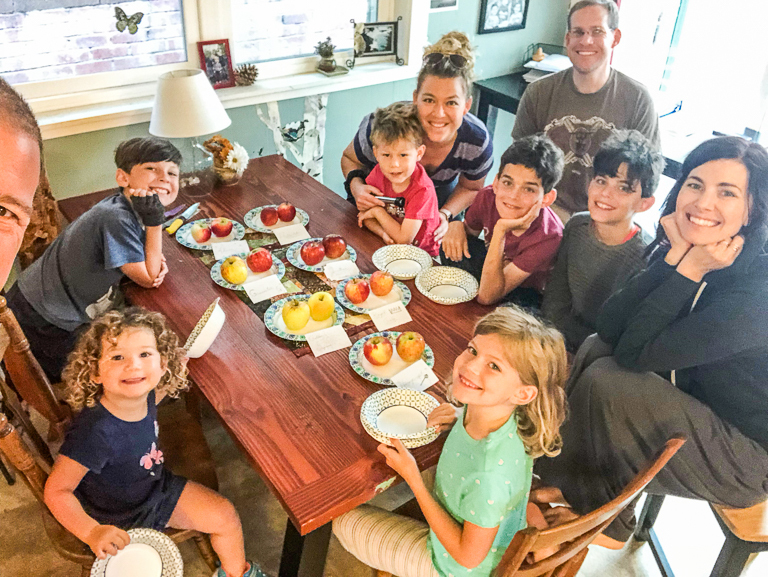 Jon was in charge of coring the apples. T would then cut them and pass them out. Alli was very vocal "Don't forget me!" 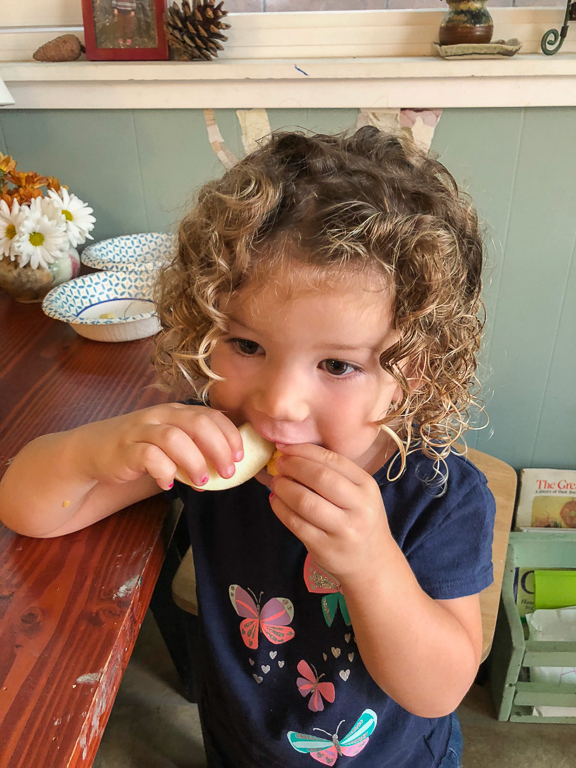 The girl loves her apples. 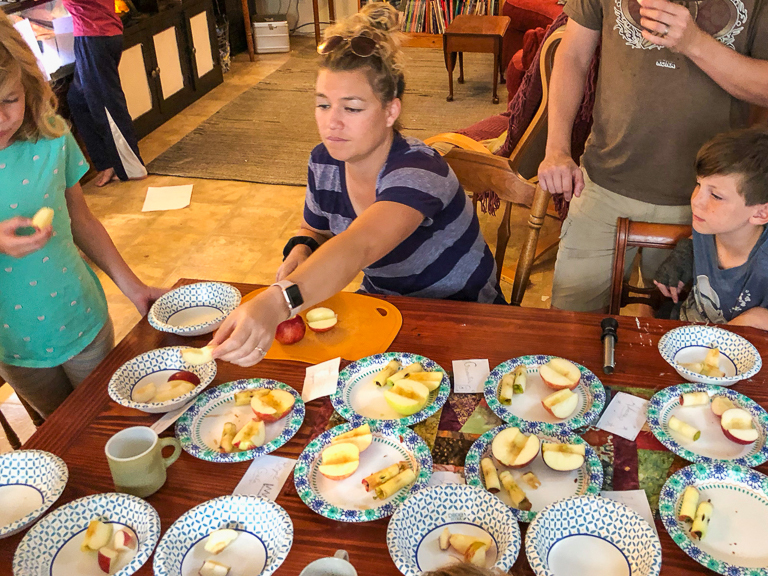 Getting all these apples together to one place, you can certainly taste the differences between them. 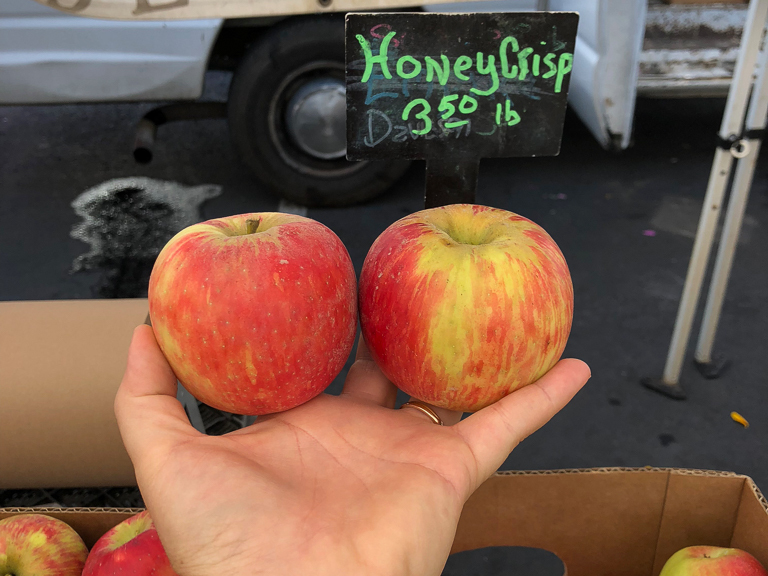 Our favorite out of everything was the Honey Crisp. When I think of a yummy apple, that's the flavor I imagine. 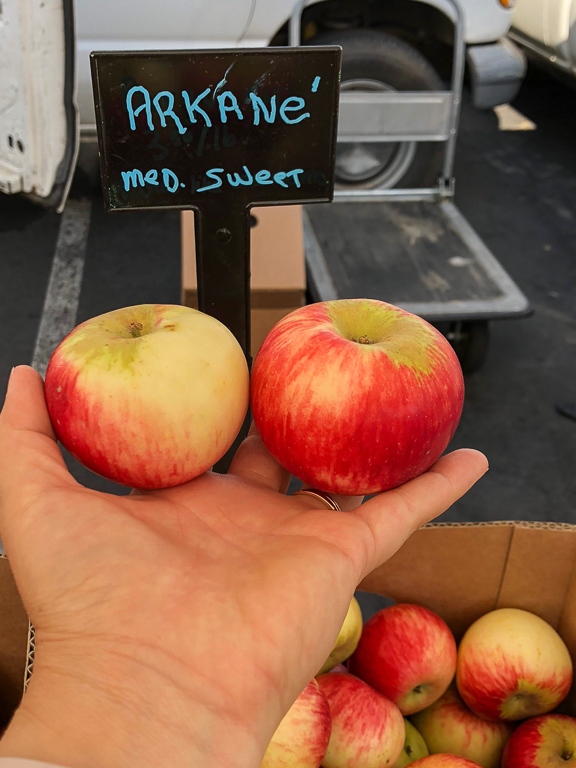 Another flavor we all enjoyed was the Akane. It was tasty, but someone mentioned a way to make it even better. Just like in Ratatouille, combine one flavor with another and something new is created! 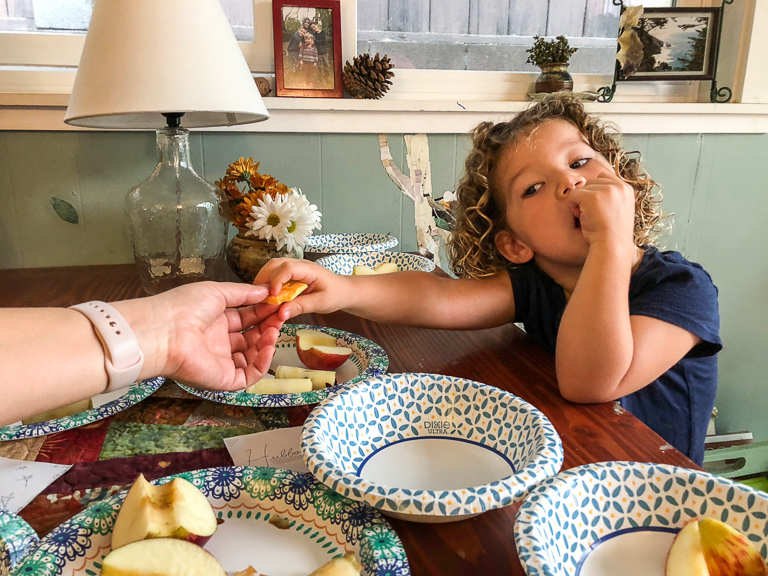 After all the other kids were done, Alli stuck around and continued eating more apple slices. 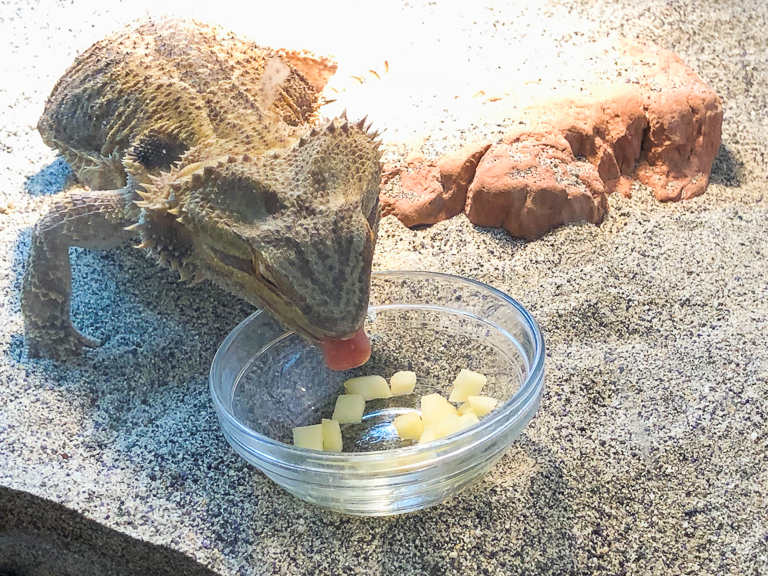 Even the bearded dragon enjoyed the apples. And I know something great to do with apples. 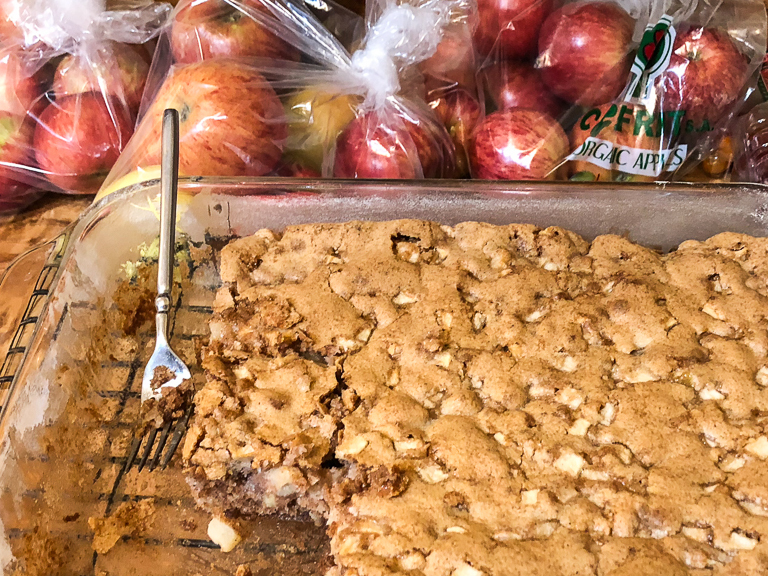 Theresa and Jess found a fantastic recipe for an Apple cake. 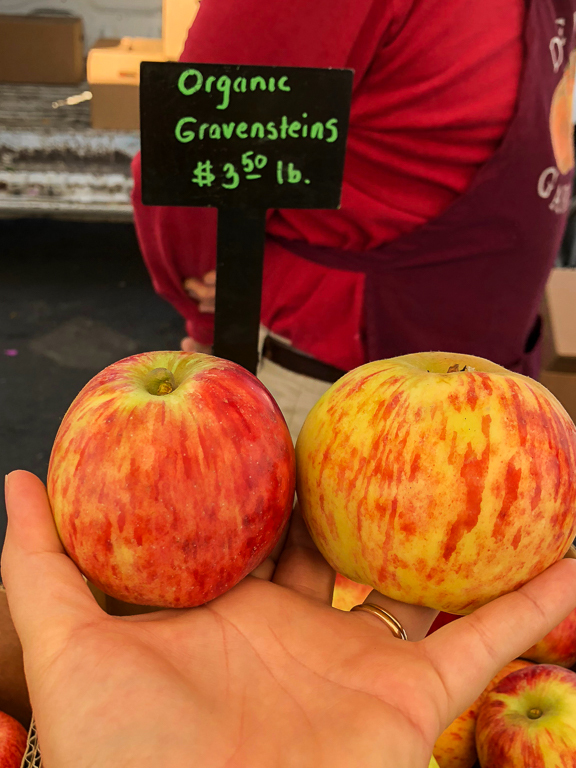 After consulting with the vendor at the farmers market, they chose the Gravenstein apple for this. 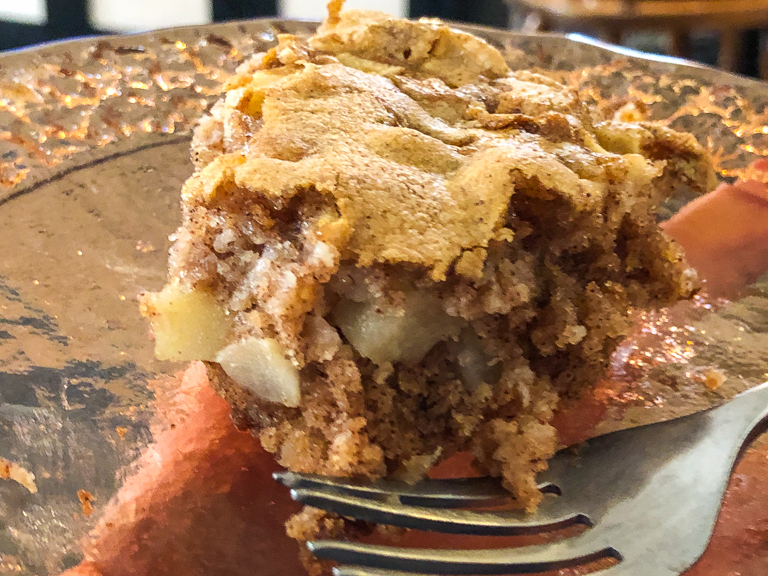 Full of flavor and doesn't fall apart when you bake it, this apple was perfect for their cake. They did a great job with the cake. It was a very light cake with a great apple flavor. A great treat. 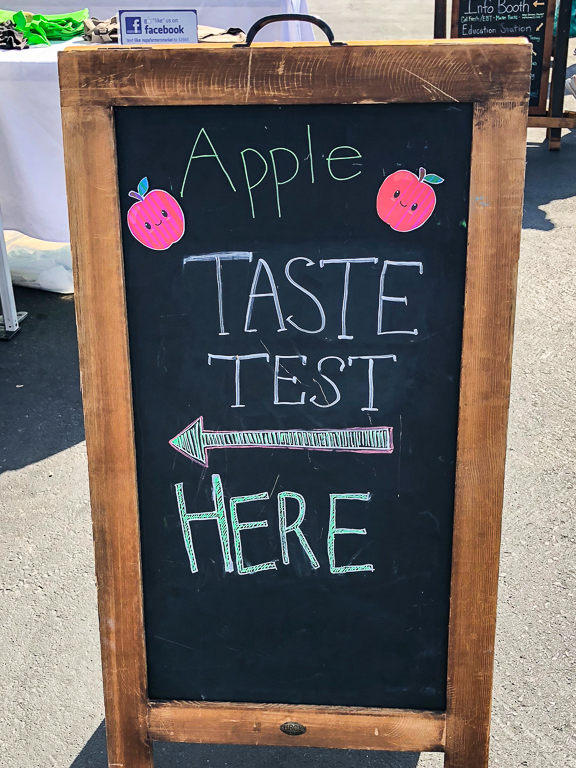 Great idea for the apple taste test Theresa!